I'm just here for the David Bowie reference. I adore the not-so-subtle jabs at character flaws and mistakes. Hopefully, you guys can find some good, non-annoying voice lines for these guys. It's me or you mentionned for the first time a possibility to play beyond Order 66 .
yes,though technically more of Corey-senpai hinted at this. That's an excellent and balanced roster. It's been some time since the last FotR update, but while most of the public posts have been about Imperial Civil War, there's been a lot of work going on in the background with Fall of the Republic. In this update, we'll be going over the core hero roster for the Galactic Republic in 0.5. Our goal with this version was to get a relatively similarly-sized core hero roster for the CIS and Republic- there'll be more to come later (including more Jedi), but these are either the more major players in the time period, or they fill a particular niche that the faction needs and otherwise lacks. Part of our focus is also to expand some of the standard fleet elements of the time, which tend to receive a bit less focus next to all the Jedi, so you'll see a few more obscure captains and admirals in both factions, especially characters who would later play a much larger role in the Imperial or Post-Endor period, keeping connections between Fall of the Republic and Imperial Civil War. There are probably two specific areas where people will notice characters missing which they may want, specifically Jedi and Clones since they tend to involve more work. Again, several of these will likely be added in future versions, but the way we chose who's there is pretty straightforward- whichever characters are most universally present, or prominent, or would appear most in potential story missions got added. For Jedi, we also ran a poll on our forums for three of the slots we felt had a bit more leeway, and picked the three most popular from that, which are the last three heroes on this list. They probably won't surprise anyone. Also known as Darth Sidious, or The Senate, Palpatine was the final Supreme Chancellor of the Galactic Republic before his reorganization of the government into the Galactic Empire. He began consolidating his power by orchestrating the invasion of Naboo and ensuing Separatist Crisis and Clone Wars as a whole from behind the scenes, secretly leading both belligerents. Despite his small stature, Master Yoda was one of the most wise and powerful Jedi in galactic history. He served as the Grand Master of the Jedi Order at the time of the Clone Wars, and was one of the few Jedi who managed to survive Order 66, despite his failure to kill Palpatine in a duel in the Senate chambers. The Padawan of Qui-Gon Jinn, Obi-Wan Kenobi was distinguished and accomplished Jedi who served with a dedication to the principles of the Order throughout his life. Despite an aversion for fighting and a famously calm demeanor, he was a skilled warrior who throughout his career fought each of Sidious' Sith apprentices, managing to best both Darth Maul and Darth Vader, but being held back by an apparent and understandable inability to recognize that falling into giant shafts and lava after the removal of multiple limbs are not necessarily fatal experiences. Anakin Skywalker was arguably the strongest Jedi to serve in the Clone Wars in terms of raw power, however he was often held back by his impulsive and rash nature. In addition to his Jedi powers, he was an exceptional pilot and mechanic. A veteran of the Stark Hyperspace War before serving in the Clone Wars, Plo Koon was also the Jedi Master who discovered the young Togruta Ahsoka Tano, eventual Padawan of Akanin Skywalker. He was killed during that business on Cato Neimoidia. Comprised of Boss, Fixer, Scorch and Sev, Delta Squad was an elite commando squad which undertook dangerous and specialized missions for the Grand Army of the Republic. Although a mission to Kashyyyk ended in the disappearance of Sev, Delta Squad continued to serve into the Imperial period. Although his primary interest was in the field of intelligence gathering, Wullf Yularen served in the Clone Wars as the Admiral in charge of Anakin Skywalker's fleet, despite a strong difference in style between the two as commanding officers. Following the Clone Wars, Yularen remained in service to the Galactic Empire, serving primarily in the Imperial Security Bureau, and was ultimately killed in the destruction of the Death Star. Gilad Pellaeon served for seven decades in the Republic and Imperial navy, beginning his career in the Republic's Judicial Forces and eventually becoming the captain of a combat-oriented Acclamator variant, the Leveler, during the Clone Wars. though he was a talented naval officer, he was primarily prevented from promotion to the admiralty because of a tendency to womanize. After Palpatine's death, he served various Imperial leaders until finally and reluctantly taking the mantle for himself, leading the Empire into peace talks with the New Republic. A member of the rich Tarkin family from the Eriadu aristocracy, Wilhuff Tarkin's family was responsible for early pushes to create a united Republic military, a movement lead several decades before the Clone Wars by Ranulph Tarkin. Wilhuff used his significant economic and political clout within the Seswanna Sector as governor to support Palpatine, and served as an Admiral in the Clone Wars before becoming the first Imperial Moff. An early political ally of Senator Palpatine, Screed was a commander in the Judicial Forces prior to the Clone Wars where he lost an eye fighting pirates. During the Clone Wars, he was the commander of Victory Fleet, a fleet comprised of the first Victory-class Star Destoyers and following their victory over the Bulwark Fleet of Dua Ningo, he became the commander of the Coruscant Home Fleet as Vice Admiral. 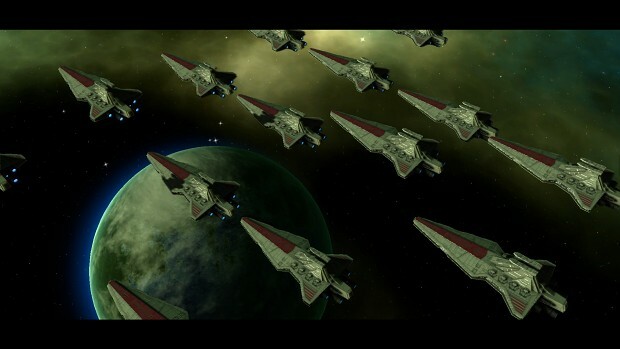 Prior to the Clone Wars, Dodonna fought within the Sttark Hyperspace War. 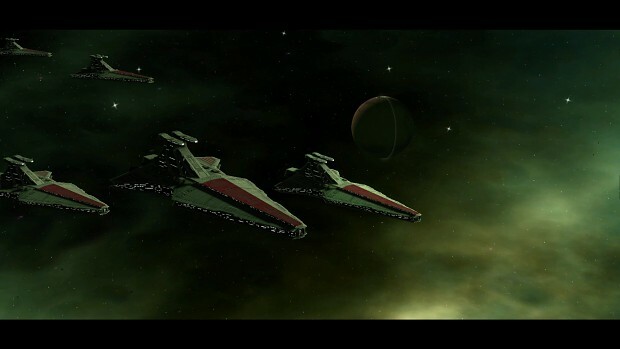 As a captain in the Clone Wars, he commanded one of the Victory Fleet taskforces opposite Terrinald Screed. He was particularly adept at managing logistics and siege tactics. 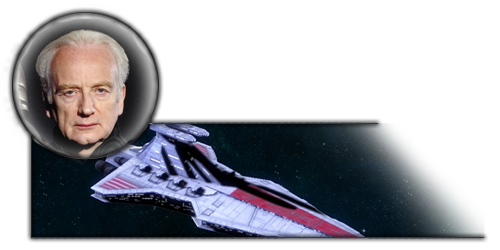 Another veteran of the Stark Hyperspace War, Jace Dallin eventually became the commanding officer of the Rendili Home Defense Fleet. He fought against his planetary government's attempts to cooperate with the Confederacy during their occupation of Rendili, and following the formation of the Empire, was executed by Darth Vader for his loyalty to the Jedi. Killian was a traditional Admiral who was captured by the Separatists in a surprise attack on his flagship during a visit from the Clone Youth Brigade. Although he tried to reason with the young Boba Fett to secure his release, he was eventually rescued by the Jedi. Coburn was a highly disciplined Admiral within Republic Navy during the Clone Wars, where he was paired with Plo Koon. He, Koon and Clone Commander Wolffe were responsible for the planning and execution of some of the most dangerous and difficult missions of the war, including operations at Lola Sayu and Kadavo. A Jedi Master who joined the Jedi Council during the Clone Wars for his exemplary service, Kit Fisto was a Nautolan from Glee Anselm who engaged in lightsaber combat with several strong enemies throughout the war, including General Grievous and Assaj Ventress, both of whom few survived encounters with other than Skywalker and Kenobi. He was part of the task force led by Mace Windu to arrest the Chancellor, where he was killed when the Chancellor revealed himself to be a Sith Lord. A Togruta from the planet Shili who had joined the Jedi Council in the years before the Clone Wars, Shaak Ti participated in many key battles in the Clone Wars, and during the war was responsible for killing one of count Dooku's Dark acolytes, Artel Darc and survived a duel with General Grievous. She was responsible for the protection of the Jedi Temple, and managed to escape it during Darth Vader's attack. A Twi'lek trained by Quinlan Vos, both her and her master survived their own falls to the dark side before returning to the light and earning her knighthood. She was one of the Jedi who survived Geonosis before going on to serve in various battles in the Clone Wars, most notably Felucia, where she was executed by her forces during Order 66. That's it for today's post. As I said near the start, we have some other options and idea for heroes for future releases, so if you notice someone missing, feel free to suggest them, but don't worry- much like ICW, our goal is to approach the mod in smaller chunks to make sure we're able to do releases in reasonable timeframes. Our next news post will be this Friday, looking at the CSA faction profile for Imperial Civil War.